Whenever you play at a legal New Jersey online casino, licensed by the state Division of Gaming Enforcement (DGE), you can be absolutely sure that the games are fair and that your money is safe. The same cannot be said of unregulated, offshore casinos and poker rooms, which operate with little to no oversight and are free to treat customers as they please, without fear of consequences. While online gaming has been legal in the Garden State since 2013, unlicensed gambling sites remain open for business, and have proven difficult for US authorities to shut down. The free availability and coexistence of both regulated and unregulated sites can pose a danger to the average consumer, who might not understand – or care about – the difference, and put themselves at undue risk. Below we take a look at what can happen when you trust your money with offshore casinos, and why you should stay away from them at all costs. A great way to illustrate the dangers of unlicensed iGaming sites is by studying the rise and fall of some of the most popular online poker rooms of the early 2000s. When accountant Chris Moneymaker won the World Series of Poker Main Event in 2003, online poker exploded in popularity, fueling the rise of gray market sites like Party Poker, Pacific Poker and PokerStars, all of which were headquartered outside of the US. During these Wild West days of the industry, poker sites advertised aggressively on television, leading many casual players to believe, falsely, that the companies were in some way licensed or regulated by the government. In 2006, Congress decided to put a stop to the party and passed legislation making it illegal for US banks to process money for US-facing Internet gambling sites. Some operators, like the publicly traded Party Gaming, pulled out of the country, while others, like Absolute Poker (AP), UB, PokerStars and Full Tilt Poker, decided to flout the law and dig in their heels. To give a semblance of legality, AP and UB, both owned by the same company at the time, boasted of being regulated by the Kahnawake Gaming Commission (KGC), a quasi-legal regulatory body based in Mohawk tribe territory near Montréal, Canada. It was under this group’s watch, however, that the two biggest scandals in online poker history took place. The first involved AP company insiders brazenly stealing millions of dollars from the site’s own players by exploiting a flaw in the poker software. The incident was eventually investigated by the KGC, which acknowledged that the cheating had occurred, but allowed the site to keep its license after paying a fine of just $500,000. The second concerned an even larger fraud, this time at AP’s sister site, UB. Just as the initial AP scandal started to blow over, it was discovered that UB’s own original founder had stolen tens of millions of dollars from patrons, personally, over the course of several years using the same software backdoor. This time, the KGC hired former DGE Director Frank Catania to investigate, who recommended that UB’s license be suspended. The KGC rejected the recommendation, however, and allowed the site to keep its license after it paid a $1.5 million fine and reimbursed victimized players. The DGE, in contrast, is a highly respected agency which was established in 1977 by the New Jersey government to ensure the integrity of the state’s casinos. According to NJ gaming law, all poker site operators must have employees dedicated to rooting out cheating, chip dumping or any other fraud committed at the poker tables. What’s more, a software exploit like the one which enabled the cheating would never have been allowed to exist by the DGE in the first place. Unfortunately in the case of AP/UB, the pseudo-regulators failed to prevent both incidents, and it was the players themselves who were forced to work through the evidence to trigger the investigations. The KGC’s light punishments, which amounted to little more than a slap on the wrist, were a clear indication that it had more of a desire to protect the two toxic websites than to safeguard customers. This lax oversight would soon lead to an even bigger disaster for AP/UB players. In 2011, the US Department of Justice (DOJ) carried out an operation to shut down AP/UB, Full Tilt and PokerStars on a day now known as “Black Friday” in the industry. When authorities opened up the books of AP/UB and Full Tilt, they discovered that the sites had grossly mismanaged player funds to the point that they were unable to pay back the millions of dollars that they owed to customers. Thousands of players saw their account balances become untouchable. Had these companies been properly regulated, auditors would have discovered that the rogue sites had not segregated player deposits from operating capital, as they had claimed to do on their websites. Instead, they dipped into the reservoir of player cash to pay for company expenses and marketing. Read More: After waiting more than 6 years, UB and AP players are finally getting their money. In New Jersey, legal gambling sites must keep player balances in untouched, segregated accounts. To verify this, operators are required to routinely send detailed financial reports to the DGE, some of which are posted publicly on its website. Black Friday was a high-profile example of what can go wrong when you play at unregulated gaming sites, but it’s just one of many. While online poker has faced a decline in the country since 2011, there are still several US-facing offshore casino sites offering slots and table games to unsuspecting New Jersey gamblers, which can be just as dangerous. Perhaps even more disturbingly, we have even seen instances of unscrupulous affiliates drawing traffic to “reviews” of legal NJ gaming sites, which instead encourage them to play on black market sites. You will never have to contend with any of the above practices at licensed NJ online casinos. To ensure game fairness, the DGE tests all gaming equipment and software in its lab at the Technical Services Bureau (TSB) before it can go live in the casino or online. It also carries out licensing investigations and thoroughly vets company execs to make sure that no “bad actors” find their way into the industry. Case in point: PokerStars, generally considered to be the most reputable online poker operator in the world, was at first rebuffed in its attempt to procure a New Jersey license due to the continued involvement of the site’s founder, Isai Scheinberg. Once based in the Isle of Man, Scheinberg served as the company CEO during the Black Friday raids and was still technically under indictment by the DOJ. Having his name attached to the site put a dark cloud over the company, and was enough for the DGE to have serious doubts about allowing it into New Jersey. To realize his dream of bringing PokerStars back to the US, and to appease the DGE, Scheinberg decided to sell the site to Amaya Gaming in 2014, putting the operation in the hands of completely new owners. With the acquisition, the site was finally granted its license and opened up shop in March 2016, more than two years after the industry had gone live in the Garden State. The grueling process endured by PokerStars to earn its license highlights the strict standards the DGE demands of not just gaming software, but of company employees and execs. Hundreds of shady, black-market sites have come and gone through the years, leaving a trail of angry customers in their wake. While these sites always run the risk of being shut down by the DOJ, they can also simply fold, disappear or scam you out of your hard-earned cash at any given time. When searching for a reputable online casino in New Jersey, it is absolutely imperative that you stick with only those officially licensed by the state (see the DGE’s full list). 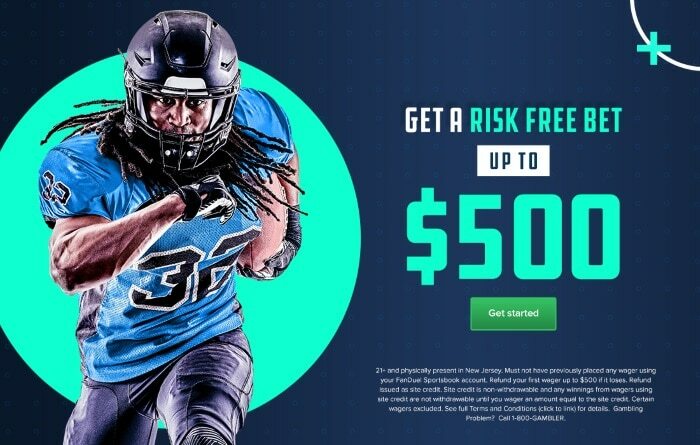 While other sites may offer larger deposit bonuses or player incentives, the possibility of losing your entire bankroll due to fraudulent practices just isn’t worth the risk.